RRS Sir David Attenborough will be capable of deploying a number of rock drills, including those in the British Geological Survey’s sampling equipment pool. 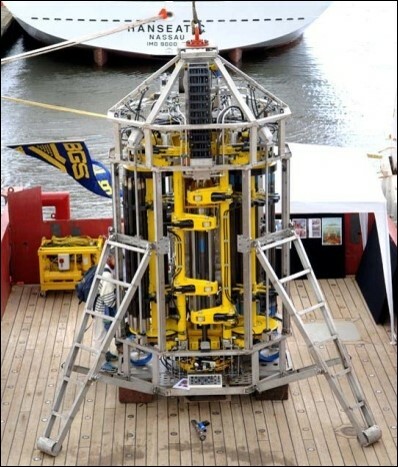 Rockdrills comprise of portable seafloor drills that are deployed from the stern or sides of the ship. They are capable of sampling soft sediment and rock down to several tens of metres in water depths of several thousand metres. 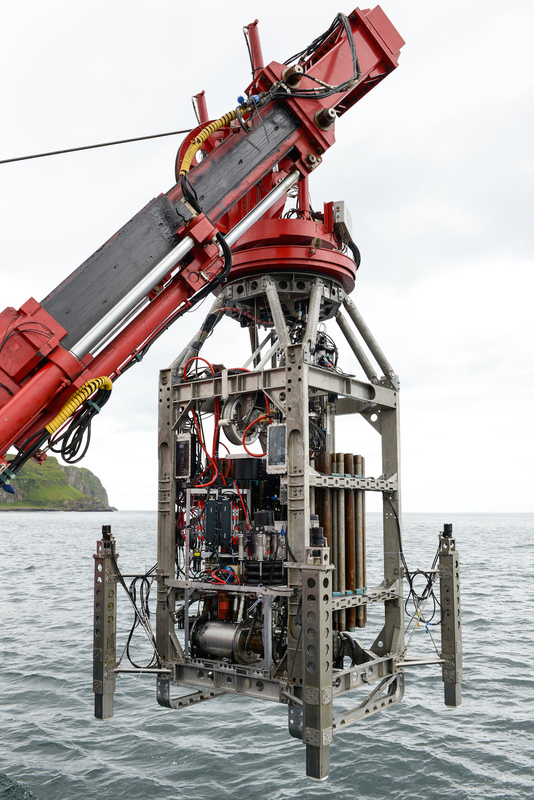 Examples include the British Geological Survey ‘RD2’ system (shown here) which is capable of coring up to 50m below the sea bed in a maximum of 4000m of water and the German MARUM MeBo system.